Is Rob Heaps Gay ? 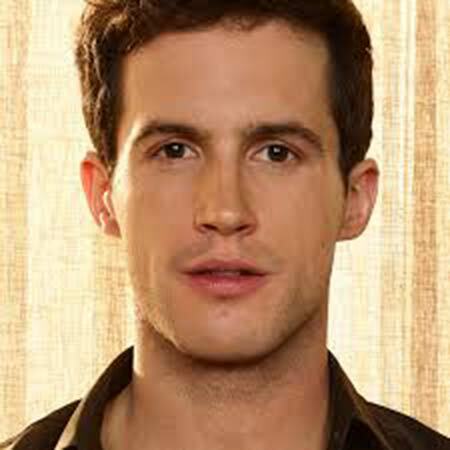 British born actor Rob Heaps is mostly known for portraying Ezra Bloom in the American dark comedy series, Imposters. He became a household name in the entertainment industry by protraying various roles in both small and big screen. While talking about Rob Heaps' personal life, he is not married and currently is not rumored to be in a relationship with anyone. Heaps doesn't really share about his love life to the media and remains low-key when it comes to his private life. He surely melts a lot of girls' heart by his charming looks & his British accent and he might have been involved in some relationships in the past which we know nothing about. On his Instagram, he shares a lot of pictures with his female co-stars with whom he seems pretty close as friends but there aren't any rumors about his linkups to any of them. He is focused on bettering his career and is happily single. He is involved in some charitable works as well and helped raise money for Motor Neurone Disease (MND) by launching an event known as The Gordy Races. During the event, he rode his bike for nine hours to promote the event. Besides, he is an aspiring photographer as well as experimenting various kinds of photography styles and posts the pictures on his Instagram. He pets a huge dog named Portia. Recently he went through a knee surgery which turned out to be a success and prepares to go to rehab to improve his knee's condition. On his Instagram, he reports that a loose bone fragment had been growing inside his knee for 8 years and had to remove it. As for his social media presence, he is active on social media sites like Instagram and Twitter where he maintains 18.1k & 3.7k respectively. Rob Heaps' net worth is not estimated and is still under review. His main source of earning is from his career as an actor and acted in movies like Imposters, And Then There Were None and Frankenstein and The Vampire: A Dark and Stormy Night. Rob Heaps as Ezra Bloom in the series, Imposters. Moreover, actors like Inbar Lavi, Parker Young, Brian Benben joined him in the dark comedy series, Imposters. He makes a huge income from his acting career and his growing success soon might make his net worth in millions. According to some sites, the average salary of an actor and performer is $55,705 and it ranges between $45,905 to $68,014. The hourly pay of an actor is $19.82 as stated by Payscale. Rob Heaps was raised by his English parents in York, England but his birth details is not disclosed to the media. However, it is reported that he celebrates his birthday on July 11. Earlier on, he attended a drama school located in St. Petersburg, Russia and while his time there his instructor taught him observational acting. and featured in stage plays. He did theatre for productions like King Lear, Pride and Prejudice, and While the Sun Shines. Heaps' theatre training helped him better his acting skills and eventually debuted in the small screen. Take a look at Rob Heaps video where he talks about things along with his Imposters' co-stars.